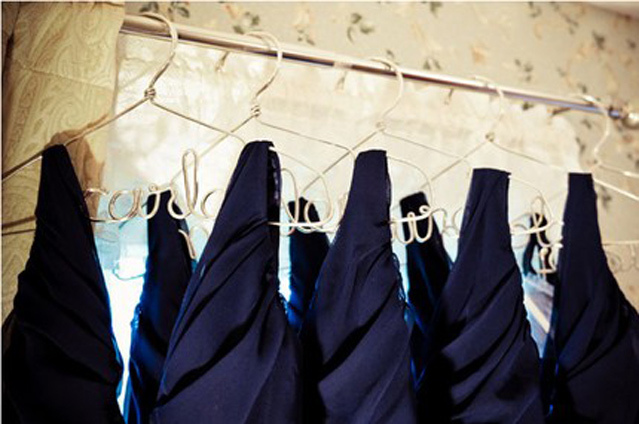 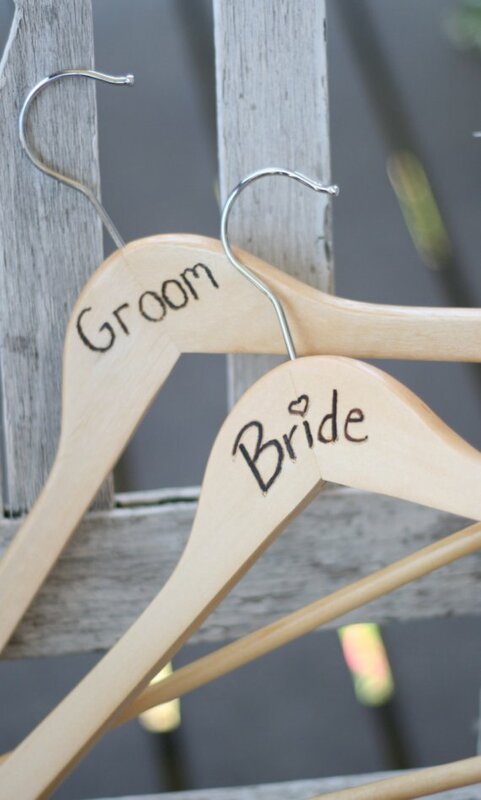 Using a hanger: wooden, satin or personalized is a lovely way to hang your gown while it is being photographed. 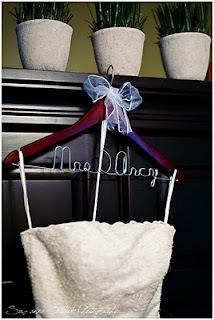 It is also a unique detail to make your wedding day that more special. 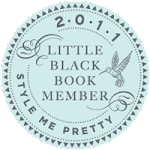 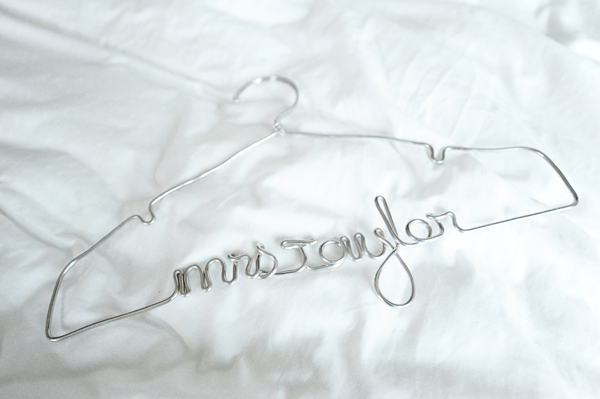 It can be a great bridesmaids' gift. There are various types of the personalized dress hangers. 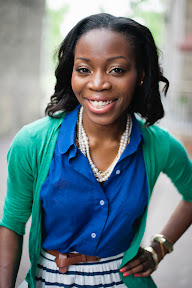 Through Project Wedding, with the time and tender loving care you have the opportunity to take on this DIY Project. 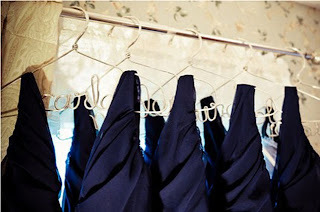 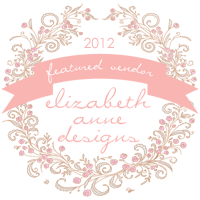 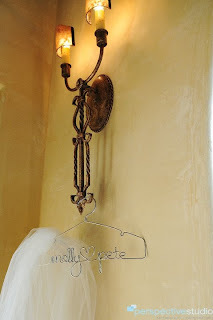 A personalized hanger is a wonderful keepsake that I have just FALLEN in love with.